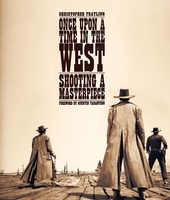 Hardcover, 9 x 12.25 in. / 128 pgs / 35 color / illustrated throughout. Artwork by Werner Herzog. Edited by Beat Presser. Text by Herbert Achternbusch, Peter Berling, Claudia Cardinale, Lena Herzog, Hans Helmut Prinzler, Volker Schl‡ndorff. 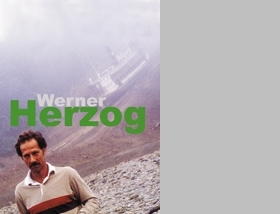 Werner Herzog was born Werner H. Stipetic in Munich on September 5, 1942. He grew up in a remote mountain village in Bavaria and never saw any films, television or telephones as a child. He started traveling on foot from the age of 14. He made his first phone call at the age of 17. During high school he worked the night shift as a welder in a steel factory to produce his first films and made his first one in 1961 at the age of 19. 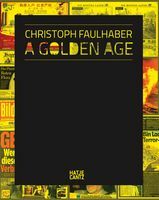 Since then he has produced, written, and directed more than 40 films--including Fitzcarraldo, Nosferatu, Cobra Verde, Even Dwarves Started Small, My Best Fiend and Aguirre, the Wrath of God--published more than a dozen books of prose, and directed as many operas. 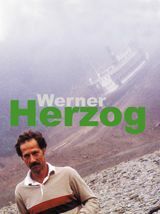 This publication presents Herzog through essays by friends and colleagues like actress Claudia Cardinale, who starred in Fitzcarraldo, and German director Volker Schlàndorff, as well as through photographs by cinematographer Beat Presser, many of them never before published. 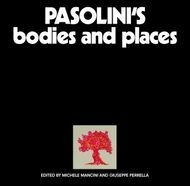 FORMAT: Hardcover, 9 x 12.25 in. / 128 pgs / 35 color / illustrated throughout.